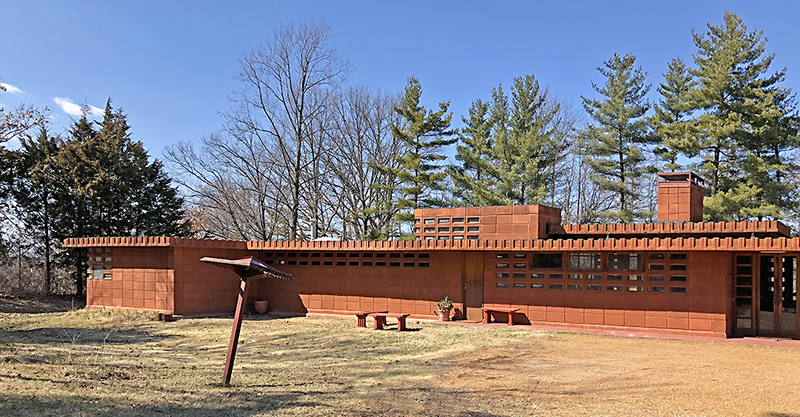 frank lloyd wright - B.E.L.T. 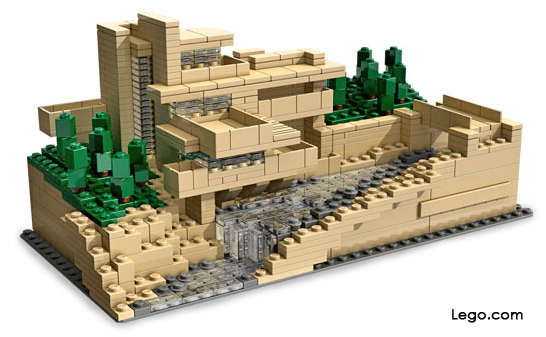 In recognition of Black Friday and the holiday shopping season, may we suggest Frank Lloyd Wright’s Falling Water done up Lego-style? Because it’s plastic, you could suspend the finished product over running water and not face the water management issues the real-life version has. The Guggenheim is also available, at a much cheaper price. Lego also offers up the Empire State Building, the Space Needle and other architectural gems. Very cool gift idea for building-minded folks of all ages. Brad Pitt & Angelina Jolie visit Falling Water on Thursday, and by Friday afternoon, we’re told about it, and given the classic photo op (above). They took a two-hour tour which ended with a private birthday (his) celebration afterward in the living room. This isn’t a case of the media finding out and letting us know. This is clearly a case of Brad and His People making a concerted effort to get this photo and press release out. There are two points that Brad wants in the public consciousness. Point # 1 amuses me. How nice of Brad to share poetic thoughts on his Falling Water experience. It’s almost like enjoying his vacation photos over a glass of cabernet, isn’t it? Such a warm and fuzzy feeling. Point # 2 slightly disturbs me. 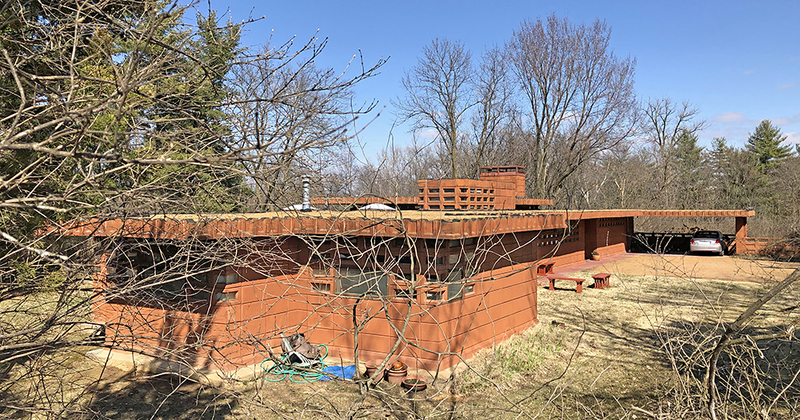 It’s that bit about wanting to see Falling Water ever since he took an architectural history course in college, which was well over 20 years ago. Mr. Pitt has spent the last several years making sure that we know he loves architecture. We’ve heard details of how he personally re-designed the interior of a Hollywood home (and how it left Jennifer Aniston so unimpressed that she didn’t even want the place in the divorce). He’s gone out of his way to repeatedly insert his name into the star glow surrounding his favorite architect, Frank Gehry. And he’s been so successful at representing himself as a design-driven creature that what clothing accessories he prefers bears mentioning. At first, I was enamored with Brad’s architectural bent. “Gee, he’s such a huge and handsome star, yet he spends his spare time immersed in architecture… he’s so smart.” But in reality, I know that stars of his magnitude only release that kind of information for precise purposes. And that’s what disturbs me. He’s spent years rolling out this architectural image of himself, but other than the remodeled house that Aniston hated, nothing’s come of it. 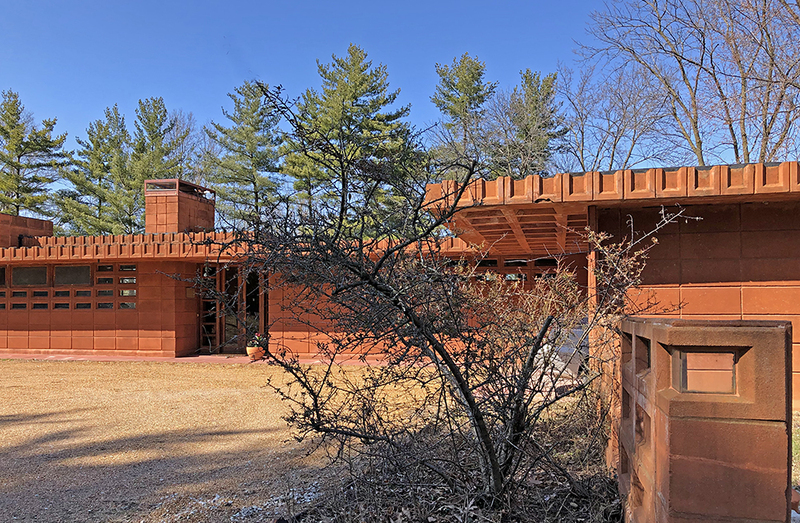 So, when he makes this latest concerted effort to share his Falling Water experience, I get concerned because it could indicate that his architectural id will finally manifest into the physical. 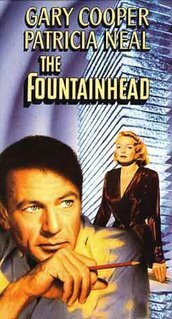 Then the mailman delivers my current Netflix selection, The Fountainhead. Gary Cooper as a barely-disguised Frank Lloyd Wright antagonized by his secret patron/love interest Patricia Neal. The movie was just finally released on DVD, which I consider a big deal. Brad Pitt probably does, too. And then it hits me! Mr. Pitt wants a Fountainhead remake with him and Jolie! Rather than having to make good on all his publicly-declared architectural aspirations, he can just act like the ultimate architect. So, he trots his girlfriend/co-star out into the snowy woods across from Falling Water for the photo op, sends out the press release, and in a few weeks he’ll be in the executive office of a major movie studio getting the financial green light for this project. This idea would be the perfect resolution to his “I want to be an architect” desires, as well as a brilliant career move. Plus, I’d much rather he re-do The Fountainhead than actually foist upon the world a building he designed. So, here’s hoping for the win/win.